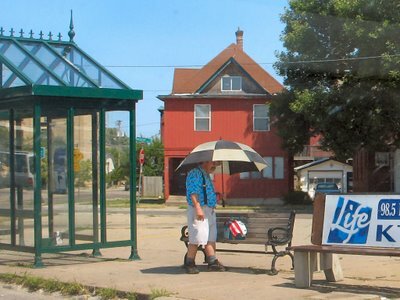 With temperatures pushing near record highs in the Twin Cities, one needs to be keep cool any way possible. 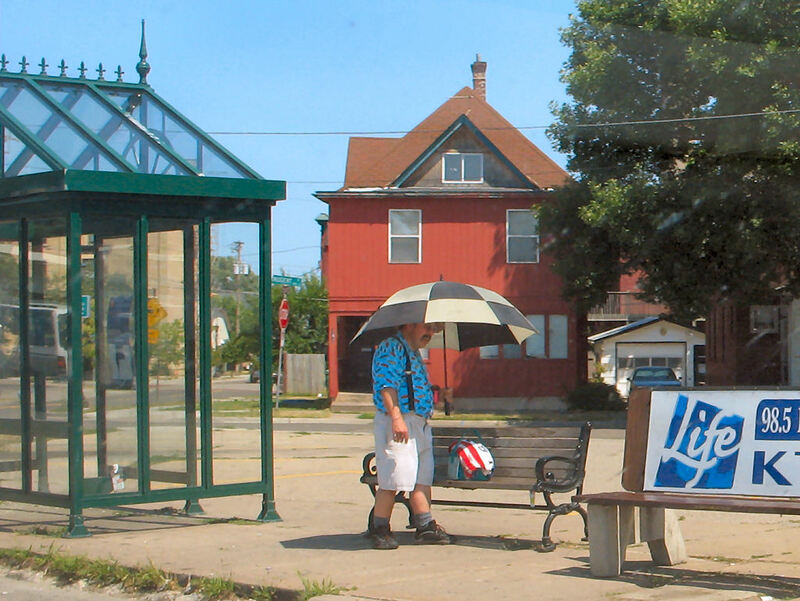 I found this gentleman on the bus stop holding an umbrella to keep the suns intense rays from heating his body more than they already were. Our temps were around 95-100 F for the past couple of days. commendable for him to use umbrella :) no one uses it here, only me sometimes .. I like this; nice composition. before airconditioning this sight was more common. Love that red building in the back.